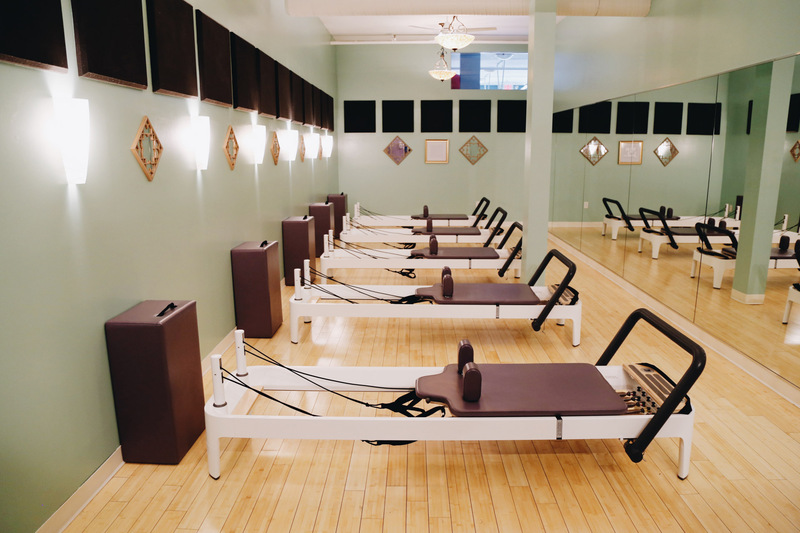 We are Indy’s #1 Pilates Studio – locally owned & operated for over 9 years. Experience our vibrant, family-feel environment, where we welcome bodies of all shapes + sizes. Our staff have always been hand-picked for their amazing qualifications, experience and personalities. We are constantly striving to improve the quality of our services by hosting regular continuing educational sessions for our staff, utilising an ongoing mentoring program for our newer instructors and travelling to learn from courses around the country. Because of our commitment to bettering ourselves we only attract and keep the most passionate individuals who share our desire to want to grow. We highly value professionalism at our studios. It is why we care so much about classes always starting and ending on time and very rarely being cancelled, it is why we care about the studio being cleaned twice a day and the equipment very well maintained. We care about our standards in every area and strive to keep them as high as possible. As a business we always put the client’s goals and needs at the top of our priorities. Without our amazing clients and their fantastic results we wouldn’t continue to be as successful as we are! Reforming Indy is for everybody. No matter your fitness level, we look forward to helping you achieve not only a brand new body, but a brand new way of life as well!